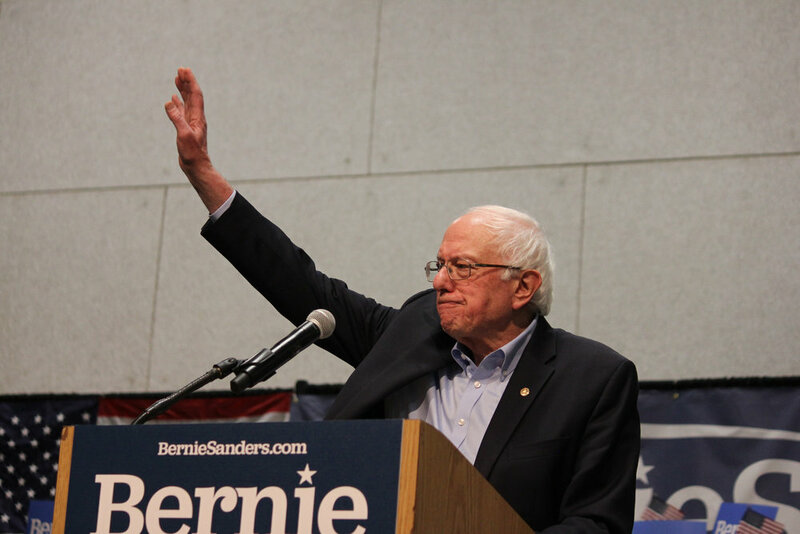 On February 19, Bernie Sanders announced his campaign for the upcoming 2020 presidential election. Many remember Sanders for his invigorating 2016 Democratic campaign with the tagline “Feel the Bern.” His platform for free college education and universal healthcare made him an exciting liberal outlier in the race. Sanders has been heavily involved in left-wing politics since his college days and is now a Vermont senator advocating for economic equality amongst all demographics. Sanders is often described as a “democratic socialist,” a term he defines as the support of fundamental human and economic rights. The word “socialism” often strikes fear amongst the American public. Many politicians condemn the ideology; Donald Trump recently stated that “America will never be a socialist country.” However, the senator believes that socialism is the undeniable future of the country and he is prepared to defend this stance passionately in his upcoming presidential campaign. In 2016, Sanders obtained a cult-like following through his campaign and is one of the few socialist politicians who has found true success and mainstream attention. As a 77 year-old socialist Jewish candidate, Sanders does not fit the typical mold for an American president. In 2016, Sanders’ main competition was Hillary Clinton; when comparing their political platforms, Sanders appeared particularly liberal and even somewhat radical. While some discredited him, his nonconforming ideals simultaneously made him an underdog favorite amongst the American public. When Sanders announced his candidacy on February 19 for the upcoming 2020 election, he raised 10 million dollars within one week, 5.9 million of which was raised in only within the first day of the announcement, an amount nearly 20 times that of competitor Elizabeth Warren. Evidently, Sanders has strong financial backing from devoted fans, a factor that could prove beneficial for his campaign. His fervent popularity is one of his most intimidating and defining characteristics, one that sets him far apart from the other Democratic candidates. Similar to his 2016 campaign, Sanders has maintained his fundamental ideas. His platform supports universal healthcare, $15 federal minimum wage, increased taxes on the wealthy, free college education, and a focus on environmental policy. Sanders remains just as liberal as he was in the race against Hillary Clinton, who was a far more politically reserved candidate. This election cycle, Sanders enters the race against candidates like Elizabeth Warren and Kamala Harris, who support equally liberal ideals. In 2016, Sanders had the upper hand of being the most radical candidate in the election, attracting large amounts of attention and adoration. He can no longer claim this advantage. His 2020 competitors will pose more of a threat to Sanders than Clinton ever did. The Democratic primary candidates, including Sanders, are extremely strong, motivated contenders. There are no definite frontrunners as of now and 56 percent of Democratic voters have reportedly not chosen a preference. Currently, the most recognizable candidates are Kamala Harris, Elizabeth Warren, and Bernie Sanders. There is talk of several more recognizable politicians joining the race, such as former vice president Joe Biden and Beto O’Rourke. Harris is a high-power senator, a 54-year-old black woman heavily endorsing environmental action and her signature LIFT Act, which would grant $500 per month to working-class families throughout America. Harris has substantial advantage over Sanders, as she can identify with two major voting minority groups in a manner that Sanders cannot. His campaign will also have heavy competition from Elizabeth Warren, a strong-willed capitalist devoted to economic equality. Her economic policies are intended to heavily tax the richest Americans to in turn pay for increased benefits. There is an obvious similarity the platforms of these candidates. The policies they are proposing would have been highly controversial in 2016, but are now largely mainstream. This election cycle, there is nothing shocking about advocating for universal healthcare or improved environmental policies. Ideals like this are now the standard for the Democratic party and the 2020 campaign. Sanders has an impressive amount of support and sheer fan-power, as young voters embrace his radical campaign and overt disdain for Trump-like politics. The issue is not whether Sanders has support, but whether he is distinctive enough to outrun his fellow candidates, given that he is surrounded by equally liberal, high-power candidates. While Sanders already has considerable competition, he could be further threatened if more candidates like Biden and O’Rourke declare their intent to run. Sanders is a fan favorite with a compelling underdog narrative but he lacks the excitement he once carried in 2016. The increasing liberal ideals of the Democratic party which Sanders so passionately endorses could, ironically, also be his downfall in the 2020 election.